As I wandered around our campsite looking for firewood I kept my eyes peeled to the ground. I was moving through dense green low-lying vegetation: the perfect place to find snakes. And to my delight—I did. 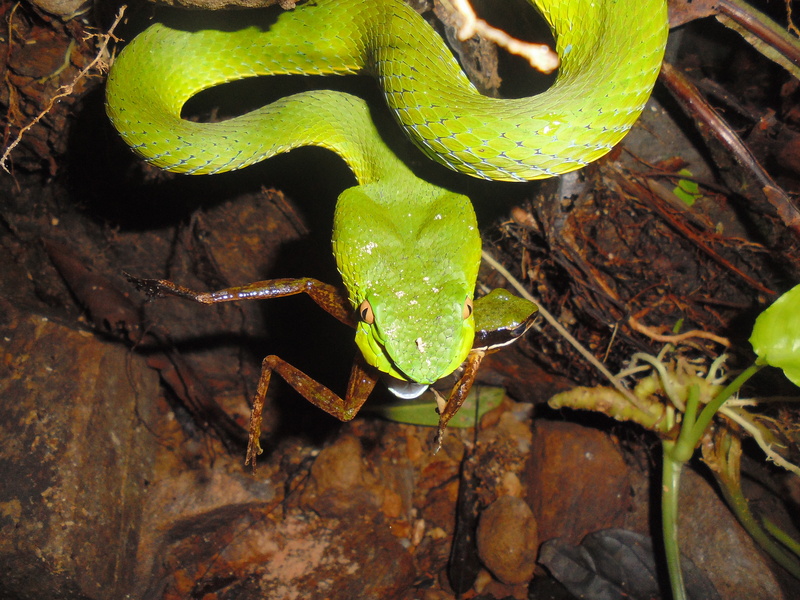 In fact, not only did I come across a brilliant emerald pit viper, one of the most beautiful snakes in the Annamites, but I had chanced upon it in the act of feeding. Moments before it had snatched a hapless frog. 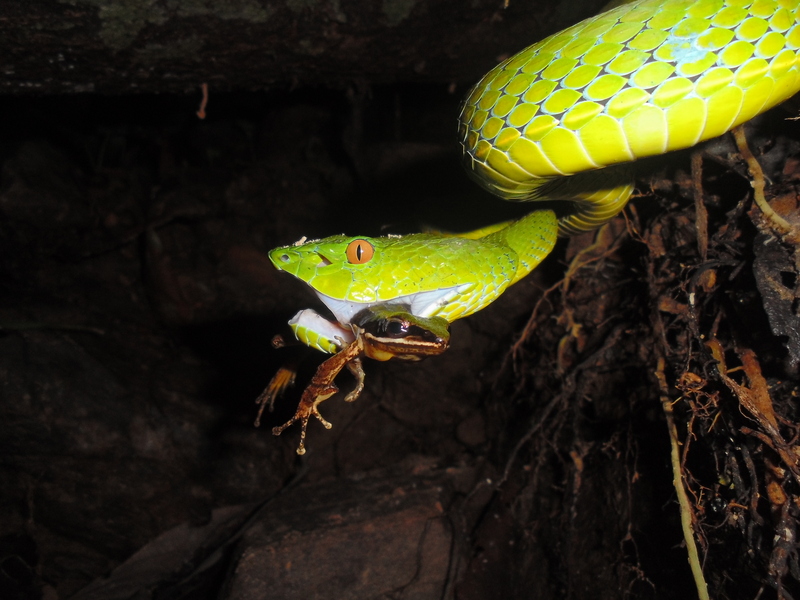 I knelt down with my camera, counting on a mouthful of amphibian hors d’oeuvre to keep the deadly viper from striking at me. For several minutes I watched as the life slowly drained out of the frog. Its pulsing throat beat slower and slower until finally it beat no more. The haemotoxic venom had done its job. 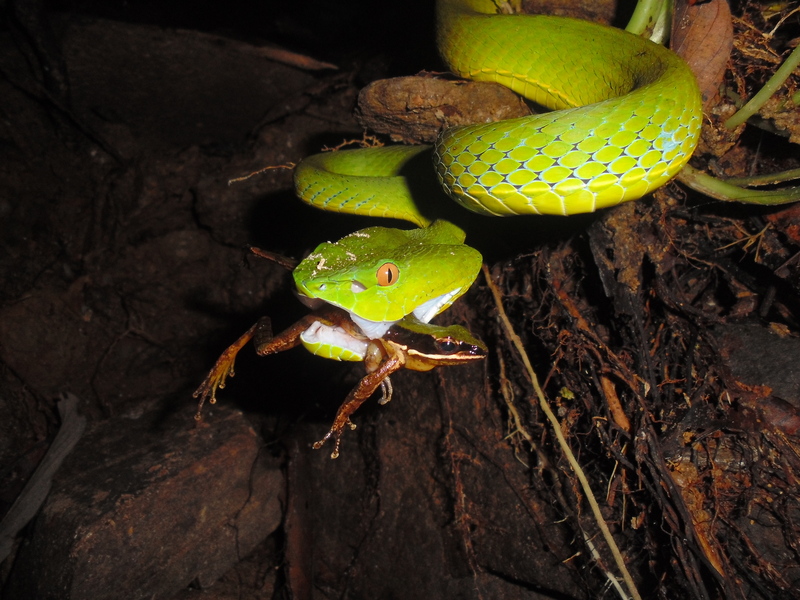 Then the snake swallowed its prize, unhinging its jaws and working each inch-long fang independently to push the frog down its gullet. I had just witnessed survival in its most primal form.